Epilepsies are a group of disorders characterized by chronic, recurrent, paroxysmal changes in the neurological function caused by abnormalities in electrical activity of the brain, estimated to affect 0.5-2% of the population and can occur at any age. Seizures are abnormal spontaneous discharges of the brain neurons, may affect part focal or all general of the brain. 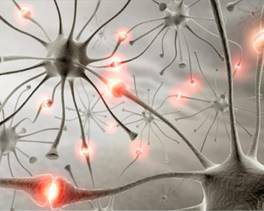 People with epilepsy have brain cells that create abnormal electricity, causing seizures. In some cases, a seizure may cause jerking, uncontrolled movements and loss of consciousness. In other cases, seizures cause only a period of confusion, a staring spell or muscle spasms. A single seizure is not considered epilepsy. People with epilepsy have repeated episodes of seizures. Just because someone has a seizure does not necessarily mean that person has epilepsy, though. Seizures can be triggered in anyone under certain conditions, such as life-threatening dehydration or high temperature. Thus, the type of seizure determines the symptoms and signs. The convulsive episode may be preceded by an aura of a fit, hallucinations and a sense of déjá vu. Bladder and bowel disturbances may occur during a seizure. After the seizure subsides, the patient may be in a state of confusion, which may last as long as a day or more. During this period, the patient may have some transient neurological deficit which disappears within a day or so. But when a person experiences repeated seizures for no obvious reason, that person is said to have epilepsy. Many people develop epilepsy as children or teens. Others develop it later in life. For some people with epilepsy (particularly kids), the seizures eventually become less frequent or disappear altogether. 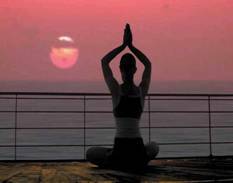 Yoga can be of benefit to some people with epilepsy. It is said to help people become balanced in mind and body and to aid relaxation. The ancient Indian practice and philosophy of yoga is increasingly becoming a focal point of therapy and research in treating epileptic seizure disorders. The World Health Organization (WHO) estimates that around 50 million people in the world have epilepsy. About 75 per cent of these are with seizure disorders, and they hardly receive any medical treatment. Yoga offers an ancient yet amazingly modern approach to treating seizures. The ancient Indian texts, Vedas describe four types of epilepsy and nine disorders causing convulsions in children. As therapy, the physical discipline of yoga seeks to re-establish a balance (union) between those aspects of a person�s health that cause seizures. The "asanas" or "yogasanas" aid in restoring balance to the body and its metabolic systems. Practicing asanas increase physical stamina and calm the nervous system. Asanas, used as a physical exercise alone, improve circulation, respiration, and concentration while decreasing the chances of having a seizure. • Bring the arms and hands to support your body at the hip region (fingers at the back and thumb in front of the body). The entire weight of your body rests on the head, neck and shoulders while the arms are used for balancing. • Keep the trunk, legs and hips in a straight line and as vertical as possible Focus your eyes on your toes, with your chin pressed against the chest. Retain the posture for one for three minutes. • While exhaling, return to the lying position by bringing the leg backward and releasing the hands and the palms.